Vulnerable people with learning difficulties could lose overnight supervision, disability charity Mencap warns. Mencap says the total bill for back pay - due by September, and in some cases dating back six years - could be £400m. 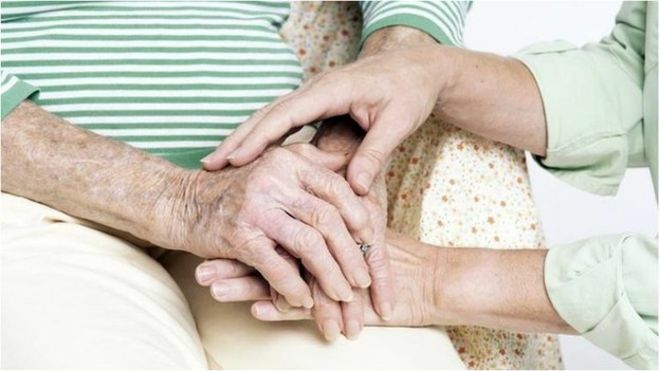 The government says carers should be paid fairly. While on night shifts, most employees providing care in people's own homes are allowed to sleep, providing they can be woken to deal with any incidents. According to minimum wage legislation, employers must take into account shifts where staff are allowed to sleep as long as they are "at work and under certain work-related responsibilities". Until recently, many overnight carers were paid a flat rate allowance for the 'sleep-in', with additional wages paid for work carried out. Smaller care charities were on the brink of disaster as a result of the changes, said Derek Lewis, Chairman of Mencap. The charity lost an appeal in April this year, against a ruling that it was wrong to have paid a support worker £29.05 for a nine-hour sleep-in shift. Mr Lewis said: "The carer is only there 'just in case' to provide safety and reassurance and is rarely disturbed. "There will be a major impact on the 5,500 people we support and some may even end up losing that support all together. "For many smaller care providers across the country the financial impact will be devastating." Mencap employ around 5,500 carers on an overnight basis, and says it plans to appeal further next year. A government spokesperson said: "We recognise the vital role social care providers play in supporting some of the most vulnerable people in our society and workers in that sector should be paid fairly for the important job they do. "As the Prime Minister has said, the government is considering this issue extremely carefully and we will continue to work with the industry to ensure any action taken to protect workers is fair and proportionate." Unison, which represents a number of overnight carers, said: "It's the government's failure to fund social care properly that risks devastating the care sector, not the workers asking for a legal wage . "Charities and care companies have known for a long time they must pay sleep-in staff at least the minimum wage. But it's only now HM Revenue & Customs is in pursuit that many are pleading poverty and asking for an exemption from the law."